This is a Caulipower pizza review and, no, I did not mess up the spelling of “cauliflower”. A reader sent me a note about this new brand of pizza and I had to take a look. If you are a devotee of Snack Girl, then you know I have a pizza problem. Just last week I featured fruit pizza and my past has led me to a portobello mushroom pizza in an attempt to stop me from eating too much of the real version. Wasn’t it a shock to find this? “Live Life on the Veg” & “Pizza. 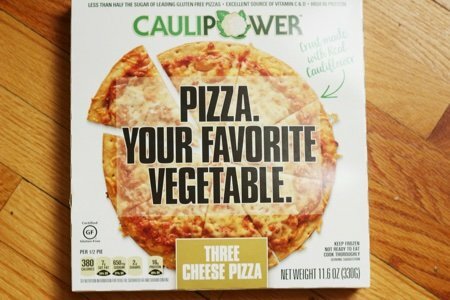 Your Favorite Vegetable.” – Caulipower is clearly not your usual frozen pizza. I would love to know how much cauliflower there is verses brown rice flour but no one at Caulipower is going to tell me that. I decided to try their Margherita Pizza for my taste test. The pizza costs $7 and is considered two servings. My thought was that there would be chunks of cauliflower held together by eggs and rice flour but when I tried it – you couldn’t tell that this crust was different than a regular pizza crust. This isn’t that different than most servings of pizza. I will give it some credit for 15% daily value of vitamin D in a serving. Where this goes wrong is the cheese and salt (and a lack of veggies on the pizza). They have come out with a Veggie version but it was not at my local store. I do think that the plain pizza crusts ($7 for 2) could good if you are going gluten free. They are tasty and not so bad with the sodium – though I would not consider them low in calories. I was hoping that using cauliflower would bring down the calories in the crust but it was not to be. I think that when you grind up cauliflower and make “cauliflour” – you get rid of the excellence of the original vegetable (fiber, water, volume). My Caulipower pizza review conclusion is that it is slightly better for you than a regular frozen pizza. It did taste pretty good but I would still make my own if I had the time. Have you tried Caulipower Pizza? What did you think? Would you like a pizza made with cauliflower? My question is how big is it? It looks pretty small on the pizza platter in the picture. I plugged the nutrition info into my SmartPoints calculator (Beyond the Scale, not Freestyle), and it's 10 Smart Points for. That is a lot for half a pizza if it's only 8 or 9 inches across. For me, pizza has become an occasional indulgence. It's just too good to try doctoring it or substituting anything for the crust. Hi SN, I'm gonna try Flatout as Pizza Crust! One slice w/pizza sauce & turkey pepperoni is only 5 smart pts for the entire slice!! If you want a more vegetable-ful crust, there are several recipes online for low carb cauliflower crust (containing cauliflower, eggs and cheese). I have not tried this yet but it’s on my list. If I’m going to splurge on pizza it sure isn’t going to be frozen. Classic Margherita pizza does not have veggies. Cauliflower crust should not have 18 ingredients. I tried both the Three Cheese and Veggie pizzas. I added Pepperoni to the Three Cheese and shared it with a friend. I was disappointed with the other pizza due to lack of veggies. Not too bad for frozen, however, the next time I want to indulge with pizza, it will be the "real deal". I order crusts from Cali’flour. Much cleaner ingredients, no rice flour or tapioca starch, and delicious. Add my own toppings. I have looked at the online recipes for making your own pizza crust using cauliflower, and they are pretty involved. Even the ones that say they are easy require appliances I do not have. So, I got excited seeing this, but the prices are pretty high. I may just stick with my flax meal foccacia bread. I've made my own cauliflower pizza, which turns out fine...HOWEVER, I like Soft Flour Tortilla's to make a pizza crust. Poke a few fork holes in tortilla to keep from bubbling when in micro. Put on paper plate, and micro 2-5 min. depending on size of tortilla, turn over half way through....watch closely so it doesn't burn. It's CRISPY and delicious to make my own pizza (put sauce, cooked meat or pepperoni, cheese) and put back in micro for 3 min. to melt cheese. OR THE BEST YET, USE as a pie crust, add pudding when crust has cooled, and Cool Whip...YUMMY. I tried Milton's Craft Bakers Thin and Crispy Roasted Vegetable Cauliflower Crust Pizza. There were two in a box at Costco. Amazing!! Also 10 Freestyle Smart Points for 1/2 the pizza. However, after reading this post, I went to look at the ingredients list and it was twice as long as Caulipower's. Bummer. I have one box left. I will enjoy those as a treat, but probably will stick to conventional (homemade) non-cauli crust pizza. There are just too many simple recipes to have to rely on a list of ingredients as long as my arm. Thanks, once again, for an eye-opener! Thirty-seven carbs per 1/2 pizza? That pretty much answers your question regarding how much cauliflower there is verses brown rice flour. No thanks. There are better options available. I think there is a lot of brown rice flour in this. The carbs are off the chain. As a ketogenic eater, this is a no-go for me on a regular basis. Might try it on a carb-up day. If you are a weight watcher you know about the 2 ingredient dough, that is in my opinion, outstanding and ONLY 6 points for one cup of dough. It only takes a minute to whip up and with this you can make a 12 inch crust. 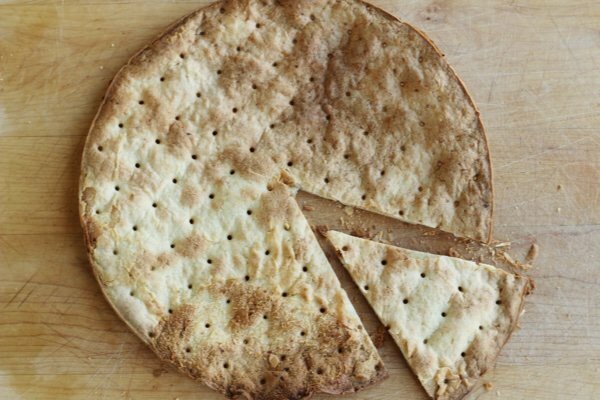 For a perfect single size pizza, I use the Josephs Flax, oat bran and whole wheat flour pita bread which is 1 point. I crisp it up in the oven, then add Mid's Pizza Sauce (Publix), 1 point for 1/4 cup, Boar's Head turkey pepperoni 1 point, some 2% lowfat mozzarella 2 points for 1/4 cup but I use about half of that, and peppers. Bake till cheese melts. Total is about 4 points, and it is easy and very good. I was eager to purchase Trader Joe's brand and did not care for it at all. @Annette, recipe please? Or the name of it on the WW site? Is it made from cauliflower, or...? Thanks for any help. Thank you for the review. I have been thinking of trying this. I must eat gluten free so have been wondering if it was any good. I have been trying to stay away from the rice flour but will give it a try. 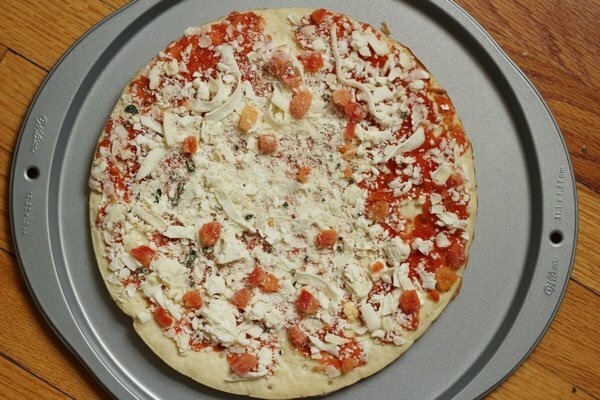 You can buy just the crusts, you get 2 crusts for the price of one complete pizza. I want to try making the crust as well. Bought both the plain crusts and veggie version - both fail any measure I use. Absolutely no flavor, may as well make your own. We use tortillas, brush them with oil, add spices, sauce, protein and cheese - 100 times better than these store bought versions. I'll have to try the oil version of tortillas....wasn't mentioned if fried in pan or micro. I just put on paper plate, stab a few fork holes here/there (to keep bubbles down), micro 2-4 minutes, turning, watch to keep from burning, turn out crispy. 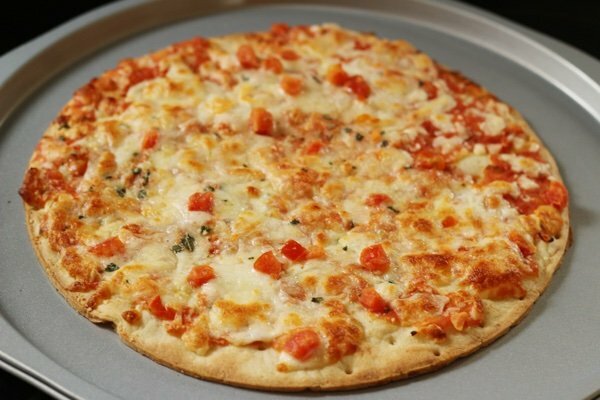 Makes very good pizza crush, add sauce, cooked meat, cheese on top, micro for 2-3 min. to melt cheese. I also use crispy tortillas as a PIE CRUST, add pudding, etc. top with Lite cool whip. Tastes just like pie crust (to me). I’m really surprised at how much rice is in this pizza – more than cauliflower. 37g of carbohydrates for only ½ a pie is crazy. Might as well eat a rice crust pizza. I understand that the rice might be necessary for this type of product to “blend” and stay together (although homemade versions are fine without it), but I can’t even smell or taste any cauliflower in this pizza. It is misleading to call this “Caulipower”, as this is not cauliflower crust pizza. Any why add cornstarch and xanthum gum? Many who are gluten-free cannot ingest these products, either. I recommend either adding more cauliflower to the crust and less rice and get rid of the corn and xanthum gum to create a healthier pizza – or stop calling it “caulipower”.